How can travel advisors help young families in their vacation planning? My [business partner] Taylor and I both have two year olds and travel with them, so we are still in the thick of it when it comes to traveling with young children. 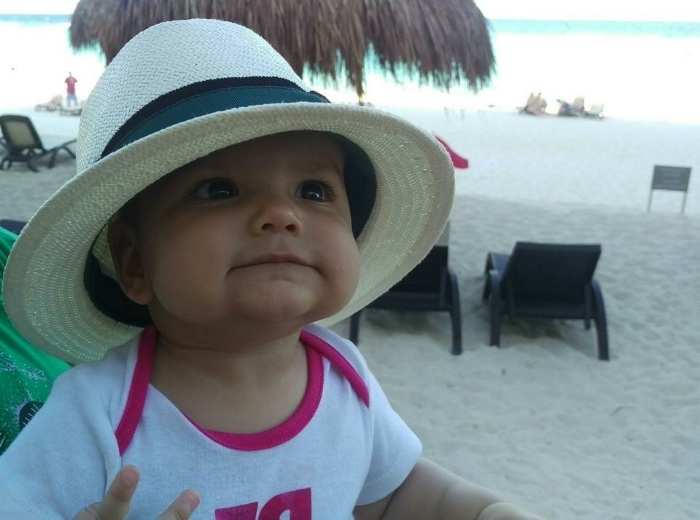 So Ruby Rosen, perhaps more than most travel advisors, have been gathering tips and tricks for traveling with young kids, and know all the right questions to ask to ensure a destination or a property is the right fit for a young child. For example, my family stayed at a particular property in Costa Rica last spring when my son was not yet walking. It was a beautiful two level condo - it was so nice. But this year, I know I couldn't return with him - there's a flight of stairs that are too slippery. Because I have a toddler, these are the things that I know to think about for our clients whereas a travel advisor - even one with older children - might not think about or remember. More generally, we have in depth conversations with all of our clients before we start putting together proposals for them. We don't do pre-packaged trips, so every proposal we do is new and different based off of the conversations that we have had with the client, and is tailored to their needs and interests. As well, we'll only send clients to places that we can personally recommend. So we know that our clients are going to have a great time with whichever vacation option they chose from our proposal. Finest Playa Mujeres in Cancun, a luxury Cancun resort that Ruby Rosen personally recommends for clients with toddlers. Ruby Rosen Travel are preferred partners with top hotel brands and cruise lines. My impression is that some of these exclusive brands and properties aren't very kid friendly. Do you work with many families with young kids? Of course! You'd be surprised how many of these luxury brands have kid friendly amenities. Many high end hotel brands don't want to be seen as a "kid resort" - they want to maintain their aura of being luxurious and fancy. But at the same time, they realize that there are many potential clients who have young families. So they offer amenities and services that cater to young children, though they may not even mention this on their websites or marketing material. I met with the hotelier of COMO Parrot Cay in Turks & Caicos, which is such a nice resort - it's amazing. And she told me they had a Kid's Club. I was so surprised! Even destinations that are traditionally thought of as highly exclusive or as romantic destinations may be more kid-friendly that people realize. I know people who took their toddlers to the Maldives, because at the resort, they get a butler to look after their kids all day and come up with fun activities. Our clients appreciate being able to go to adult-centered hotels and knowing everyone will have fun. Of course, there are places that are not child appropriate - and experts can help you discern where your family will be comfortable - and which destinations are best suited for adult escapes. I completely understand what you're saying. While vacation planning, one of my biggest frustrations is how difficult it is to discover properties that are going to be welcoming of my young child, with the amenities we want to make the vacation enjoyable and relaxing for all of us. As young mothers, we totally get that. We're constantly talking to hoteliers and colleagues - and have been taking our children on vacations since they were babies. So Ruby Rosen Travel has the insider knowledge to introduce you to baby and toddler friendly properties that may fly under the radar. You know, we recently took our son on a family vacation to Finest Playa Mujeres in Cancun. I've booked clients into that hotel previously, all of whom had a great experience. But it was only after we got there that I knew for certain how great it was for a 2 year old. For example, one morning at breakfast our son got sick at the dining table, and all the staff were sympathetic and helpful. They were all saying "No, no. It's alright. It's no problem!" They were great about it. As you mention, many hotels don't market or list their baby and toddler amenities and services online. Yes - which makes it hard for parents of young children to find great kid- (and adult-) friendly resorts. This is something we can help navigate. A lot of our knowledge is first-hand, from traveling with our own small children, and also comes with the experience of booking other clients traveling with young families. Having already done the research for other clients, we're not always starting from ground zero, unlike if you were to do the research yourself. As well, because of Ruby Rosen's network and contacts, I can call up hoteliers directly to ask questions and make requests. For example, I have clients going to West Palm Beach and they have smaller kids. I called up my contact at one hotel to ask about what amenities they have for younger kids, and they told me about a rock climbing wall that they had at their hotel. It wasn't mentioned anywhere on the website. Knowing someone at a particular property that can give you the information is so helpful. One of the things I value most when traveling with my little one is having things pre-arranged and set up to accommodate my little one as soon as we arrive on vacation. Exactly. We can coordinate with a hotel ahead of time and make sure that a room is set up with a crib, and two extra towels, and anything else that you might need or want. We take that load off for you - you don't need to think out every last detail and then co-ordinate with staff to make it all happen. Do you handle a lot of multi-generational family travel? We do. What we've found is that every family is very different, in terms of what they want and the amount of togetherness or separation that they want - some families are all up in each other's space, whereas others want more alone time, but of course they still want to connect with their extended families, and enjoy some free childcare! We really learn about families' travel wants and needs during something called our Discovery Call. We'd ask a lot of questions about what each member of the family likes to do; the desired room set-up, etc. Just knowing the right questions to ask really helps us really determine the places we'll recommend. We also work with particular tour companies at different locales around the world, and we would tap into their local expert knowledge for recommendations of activities that might appeal to everyone. You mentioned that Ruby Rosen will only send clients to places that it can personally recommend. You and your business partner are only two people, and can only travel so often. What network are you drawing on for your referrals? Ruby Rosen is affiliated with a company - Brownell - that has approximately 110 advisors, some of whom have been in the travel game for 40 years. We can tap into each others' experiences and recommendations through message boards, an in-depth database and conferences. If my partner or I meet with a hotelier of a luxury property, we can then turn to our network to hear about their experiences - and their clients' - at that property. The information - and confident recommendations - that we gather are so much more fruitful than a Google search! With a seasonal day camp for kids 3 and up, splash zones, and family-friendly activities, Ruby Rosen sent several families to The Sanctuary at Kiawah in South Carolina last summer. As travel advisors, Ruby Rosen conducts travel research and planning for your clients for a fee. But your website mentions that your company will provide complimentary accommodation bookings. Yes, if clients know where they want to book, we can arrange that booking for them. Or if a client knows their desired destination, we would pull together two or three hotel options that we would feel comfortable sending our client to, and shoot that over in a proposal. If you wanted us to handle the booking, we would do that for you, and for the most part, we would offer that service complimentary. If a client wanted Ruby Rosen to handle the numerous logistics involved with travel planning - making dinner reservations, spa reservations, booking a car, etc, then we would charge a concierge fee. Larger travel plans, with multiple destinations and complex itineraries, also involve a fee, to ensure that our clients are committed to working with us, given the time involved in preparing those proposals. What if a prospective client wants Ruby Rosen to book them into an accommodation with which Ruby Rosen is unfamiliar? There are some hotel brands - those with which we have a preferred partnership - that we have a certain level of confidence in booking for our clients, even if we can't recommend a particular property. And in instances where we have a preferred agreement with a hotel brand, that facilitates our ability to connect with the hotel's general manager and make the necessary inquiries to determine if the property is suitable for our client and their family. For example, we are a Four Seasons preferred partner, so for any Four Seasons property, we get additional amenities that you wouldn't likely get booking on your own - like a room upgrade upon availability, or free breakfast. But more importantly, I have a personal contact with whom I talk to directly, so Ruby Rosen can facilitate a wonderful travel experience for a client. Golden Oak View Room at Four Seasons Orlando at Walt Disney World, one of Ruby Rosen’s preferred partners, offering exclusive amenities. But, for instance, when we first started out, a new client wanted to go to a particular all-inclusive in the Dominican Republic, and it was one that wasn't highly recommended by my colleagues. I presented her with other options that I thought would be a better option for her family, but she insisted that she wanted to go to this particular all-inclusive. I made the booking despite my hesitations. When the group got to the resort, the client was calling me, telling me that the rooms weren't near each other, and it was taking too long to check-in. Her nephew has a food allergy and there wasn't a fridge in the room. It was hard for me to help her, since it's 10pm at night, I'm in New York, and I don't know anyone at the hotel that I can call to advocate on her behalf. They ended up having a fairly good time, but it's an example of a travel booking where the issues could have ballooned into something larger. Given those concerns, if a client is looking for a clean, reputable hotel simply to sleep there - we'll probably book that for you, but if you're looking for a island resort experience, we really want to ensure our clients have a first-rate experience, and the way to do that is to be able to draw on our referrals and relationships. A vacation is a significant financial investment, and people's vacation days are limited. It's a real drag to find yourself on an "OK" vacation. I'm starting to see a great travel advisor's role as "travel assurance" in a way. A lot of our value comes from the service that we're providing. Ruby Rosen's return clients aren't coming back to us because we got them a free breakfast (though that’s a standard offering with preferred partners!). They are understanding and appreciative of the fact that we are taking a lot of the work off of their shoulders - the research; the bookings; the travel logistics planning; co-ordinating with hoteliers to ensure the stay is enjoyable - and the assurance that comes with staying at a vetted property. Thanks to Rebecca Rosen for her time! If you’d like to learn more about Ruby Rosen’s travel planning services, visit their website.